Students who are mentally healthy come to school ready to learn, to develop academic and social skills, and to contribute to a positive school environment. They possess a strong sense of self, respect for others, and the ability to express a range of emotions constructively and appropriately. Taken together, these traits enable children and adolescents to thrive in schools and beyond.Since children spend many of their waking hours in school, schools are uniquely poised to address students’ mental health needs and to provide a positive environment that fosters mental health—not just for those who have mental disorders, but for all students.Working with community mental health agencies, the Safe Schools/Healthy Students sites featured in this Snapshot identified their community’s needs and resources and provided effective mental health promotion, prevention, and treatment services. 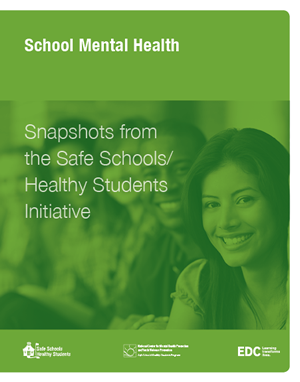 Read about communities like yours that improved student access to mental health services.